Cas Lawson lives in Kent and was diagnosed with PH in 2003. 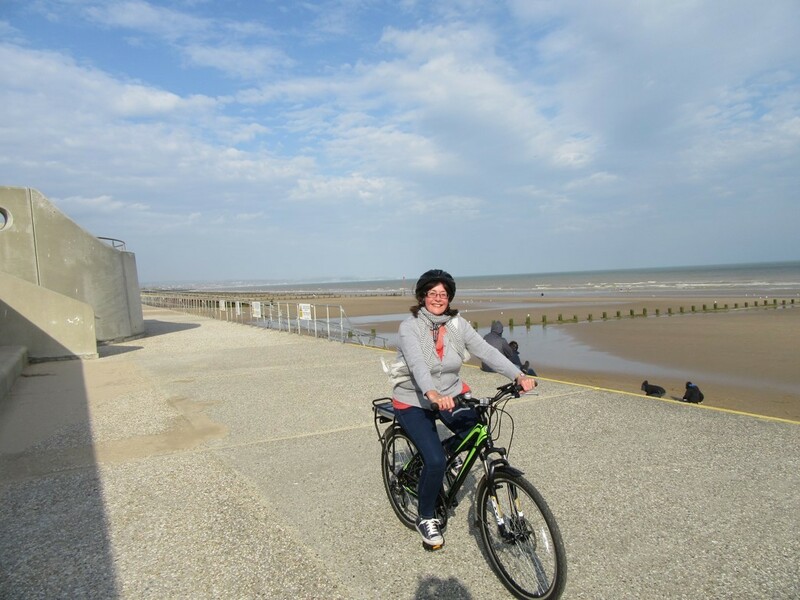 Earlier this year, she bought an electric bike to help her get out and about along the coastline. “Since moving to the coast last year I’ve been trying to get more exercise, and have been building up my stamina by walking. 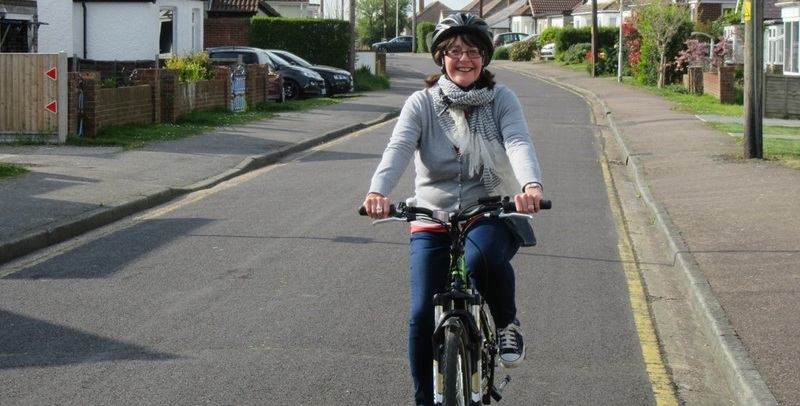 My husband is a keen cyclist and having seen many people using electric bikes locally, he suggested that I might like to get one as a way of increasing my exercise and going further afield. I was a bit concerned about the cost and how much use I’d get out of it. 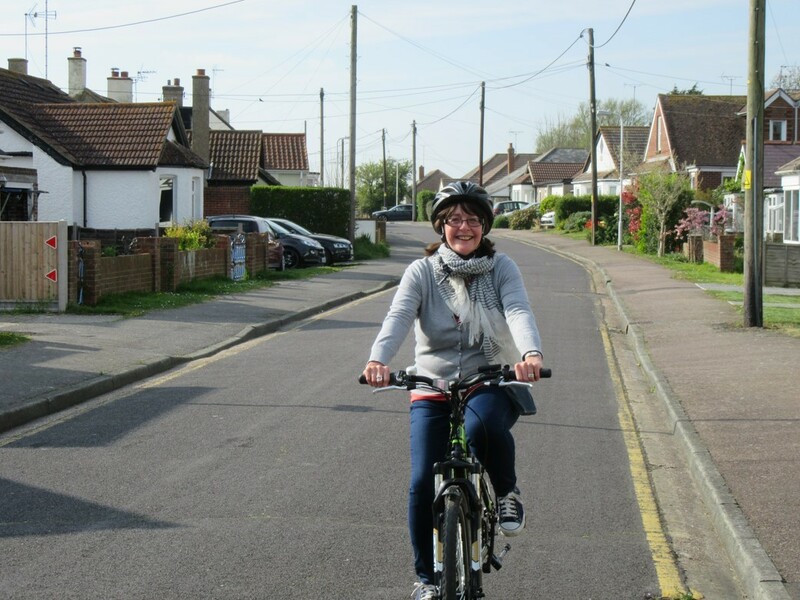 My husband did a fair amount of research about the types available and I also discussed the prospect of getting an electric bike with the specialist nursing team at the Royal Free before I bought one. We visited the showroom of an online company which is reasonably local to us. The salesman was helpful and informative and also showed understanding of my needs as he’d come across PH before. I ‘test drove’ three different styles of bike and that convinced me to go ahead. When making my choice I took into account the weight of the bike, that it has a clear LCD display showing speed, the level of power assist, mileage and so on. I also took into account that it also has a restricted throttle (limited to 4 mph) that you can engage if necessary which replaces the need for pedalling. 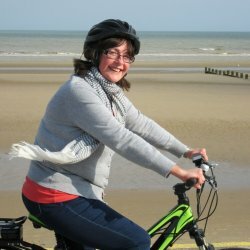 I bought my bike from E-bikes Direct (www.e-bikesdirect.co.uk) and it cost £800. It was delivered very well packaged and ready assembled; all we needed to do was put on the pedals, put the handlebars in the correct position and charge the battery for 24 hours prior to first use. The battery locks in position underneath the cycle rack and is easy to remove for charging. Prior to moving to the coast, I used a mobility scooter a lot more, but the bike gives me the opportunity to go a greater distance (and faster!) and also, unlike when using my mobility scooter, I feel less conspicuous.